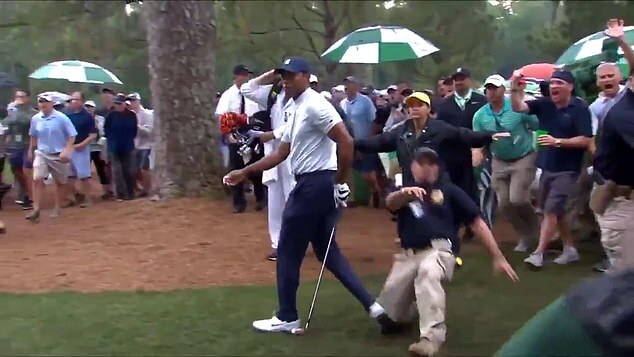 A freak incident at Augusta saw Tiger Woods involved in a potential injury scare on day two of the Masters, after a security steward slid into him while attempting to rush down the rain-sodden fairway. It was a brief scare for 14-time major winner Woods during the closing stages of his round, following another solid day on the big stage. After hitting out from the trees on the 14th, Woods was accidentally tripped up by the guard trying to get in between him and the patrons. The American winced briefly and was evidently caught off guard by the whole episode. 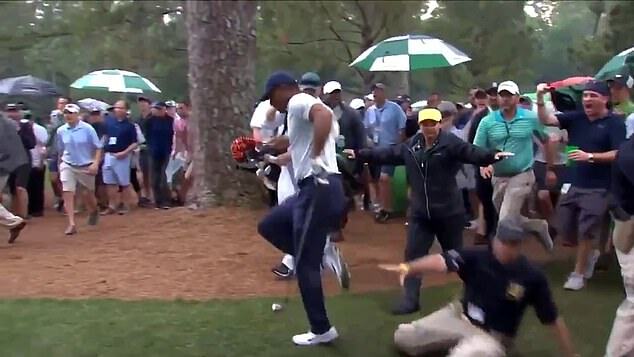 Cameras captured the bizarre incident, leaving fans concerned after Woods immediately began to limp in reflex action. Woods then managed to make a miraculous birdie from out of nowhere to put himself right into the thick of the action. The 43-year-old is the second player to have won the career grand slam along with Jack Nicklaus and last took the green jacket in 2005. 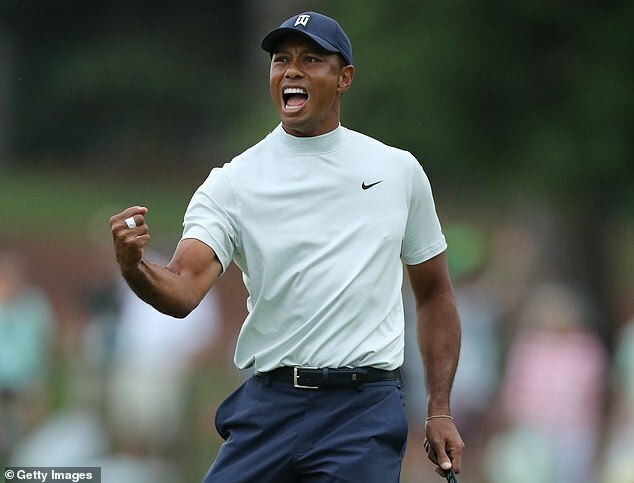 An injury-hampered career very nearly saw Woods retire from the sport, though a resurgence in the last 12 months has put the former World No 1 firmly in contention.